» When Is It Time To Stop Driving? 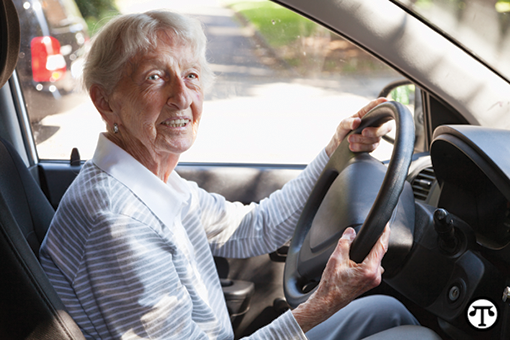 What To Do Elderly drivers should have a trusted doctor check their eyes and reflexes to determine whether they should be driving anymore. Explore the possibilities. Are there solutions that could keep you driving safely longer, such as getting new glasses or only driving during the day? Driving Courses The Sunshine Safety Council, 150 N. Beach Street, Daytona Beach will conduct a Coaching The Mature Driver course from 9 a.m. to 4 p.m. at their office on various dates throughout the county. The course meets Florida requirements for an auto liability insurance discount for licensed drivers 55 and older. Cost is $10. Please call 386.253.6400, ext. 123 for dates and locations. Alternative Transportation Try to arrange other ways to get around so you do not feel trapped at home. Remember the money you will save on insurance and maintenance—which can be used for buses and taxis. Desiding to give up driving is a hard desicsion, but it could save your life and the lives of others.